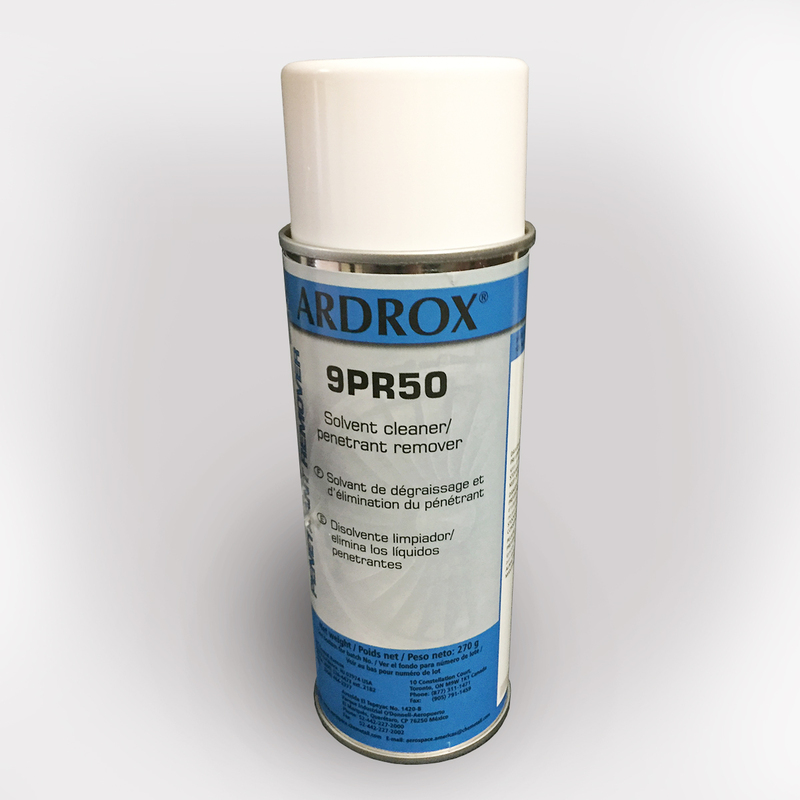 ARDROX 9PR50 is a Class 2, Method C, AMS 2644 approved cleaner/remover. It is a quick-drying, non-halogenated (non-chlorinated) solvent for removing oil, grease and similar soils from metal surfaces. It provides a high level of cleaning efficiency with operational safety. It is completely corrosion safe for use on both ferrous and non-ferrous alloys. ARDROX 9PR50 is an excellent penetrant remover.